Authorities in Canada and the United States are preparing to ship approximately 150 truckloads of liquid nuclear waste from Chalk River, Ontario to the Savannah River Site in South Carolina. The material is a mixture of bomb grade uranium together with a witches’ brew of highly radioactive fission products dissolved in nitric acid. 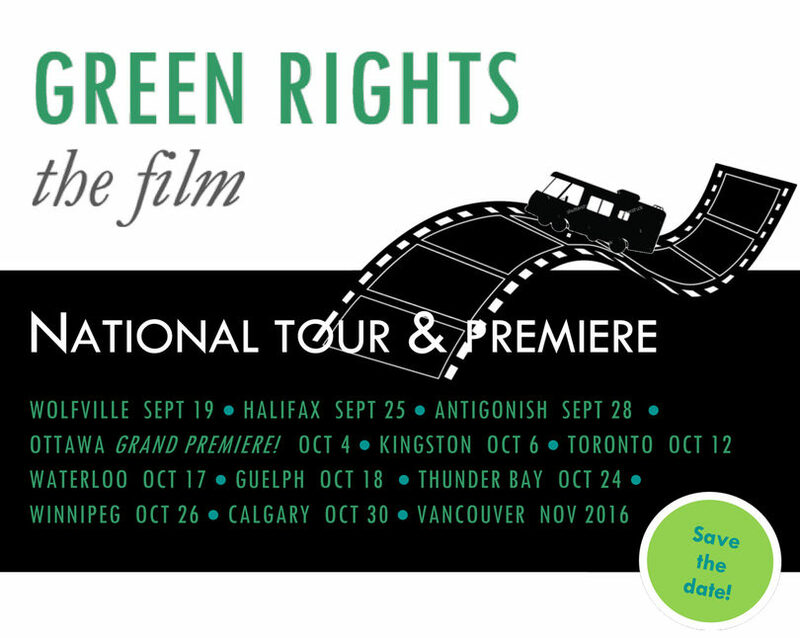 Read more about Green Rights Film Tour - join us! Halifax Diverse creates opportunities for the public to learn about, engage with, and contribute to urban green spaces in the Halifax Regional Municipality. See our blog (found here) for information on upcoming events, past events, and occasionally, information about environmental happenings in HRM. Sierra Club's PEI Wild Child is an enrichment program offered free of charge in Childcare Centres across PEI. Wild Child gives children the opportunity to engage positively with the natural environments in their communities; through games, art, discussions and various fun activities, children learn about our native plants, animals and trees, and basic ecological concepts including; conservation, habitats, life cycles and more. The manner in which we deal with our ''waste" is a key part of the foundation of a sustainable world. Isn't sustainability another word for balance? We must learn how to use the world's resources such as wood, rocks, metals and oil in a more balanced manner. Sierra Club Ontario (SCO) is a collaborative partner in the Environment and Diversity Project. The SCO is committed to enhancing diversity and inclusion within the organization and in our outreach. The E&D Project is an exciting four-year collaborative initiative led by the Sustainability Network. SCO is one of the six environmental non- profit organizations partnered in this collaborative. Click here to see the other partners in this project.